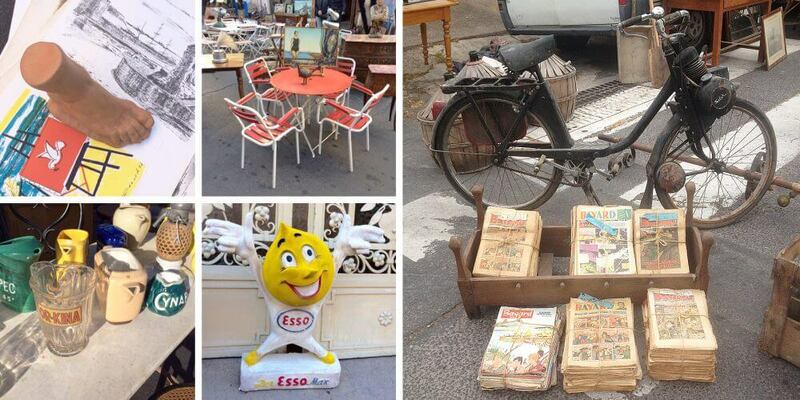 Every Spring, a lot of “vide-greniers” and “brocantes” are organised in many villages and towns in France. Some markets or car boot sales are really disappointing, as they only consist of stalls full of rubbish. 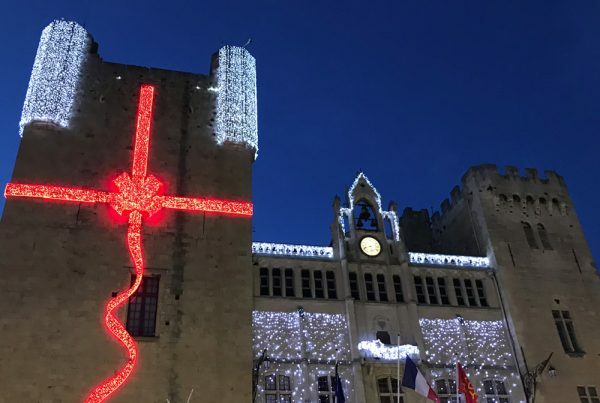 And sometimes you find a very nice market, such as the “Foire Brocante” in Pézenas. This antiques fair isn’t disappointing at all. 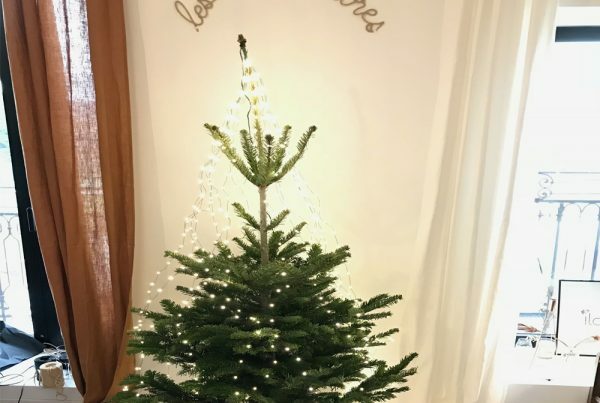 In fact, it is “superbe”! 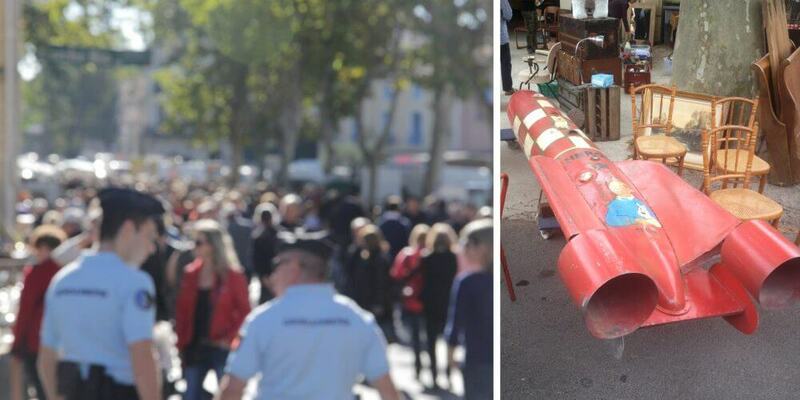 The Foire à la Brocante in Pézenas is held twice a year: the first Sunday in May and the second Sunday in October. Normally, we arrive at about ten o’clock in the morning to find the streets already packed with people. However, if you walk with the flow, you don’t notice the bustle. We leisurely stroll through the market, with enough time for a chat now and then. Starting at the Office de Tourisme is a good place for us to begin: we almost always buy something at nearly every stall on this side! Making Chéri run back and fore to the car to put away all of our new treasures. To get more energy for roaming the market, we have a delicious lunch at a bar-au-vin, with the appropriate name “Le Vintage“. 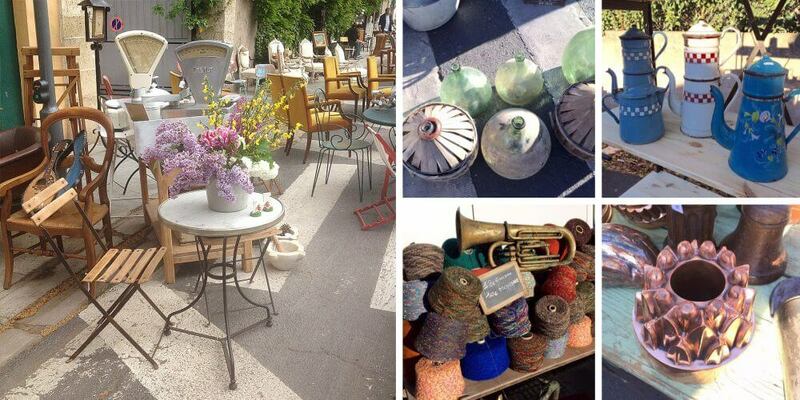 So, if you’re into vintage and flea markets, this Foire à la Brocante in Pézenas is a must-visit if you ask me! 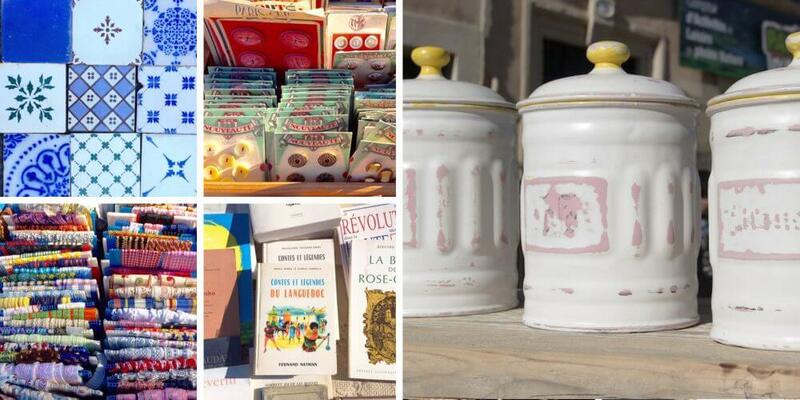 The Foire à la Brocante in Pézenas is the place to be for lovers of antiques and brocantes. 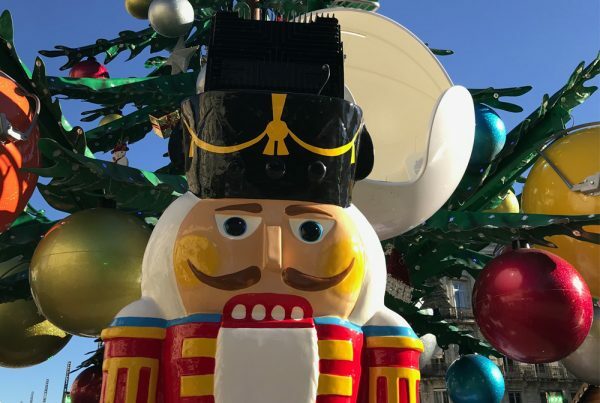 Forget the Braderie in Lille, here you can easily spend a whole day looking for treasure! 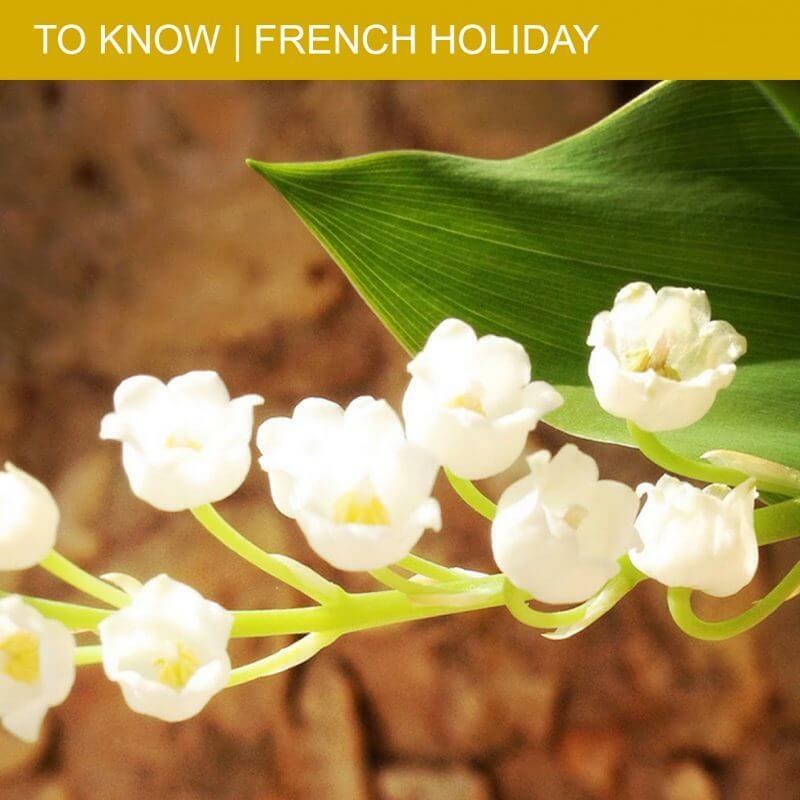 So put these dates in your agenda: the first Sunday in May and the second Sunday in October. Rendez-vous at the Foire à la Brocante in Pézenas.